"The Incredible Burt Wonderstone" was suprisingly very entertaining! 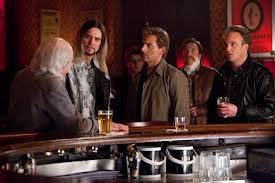 "The Incredible Burt Wonderstone" takes audiences into that crazy world of rivaling magicians and, while not giving us anything remotely original in terms of plot details and cliched drama that is always put in comedies, gives off many laughs and some great performances, particularly from Alan Arkin and Jim Carrey. 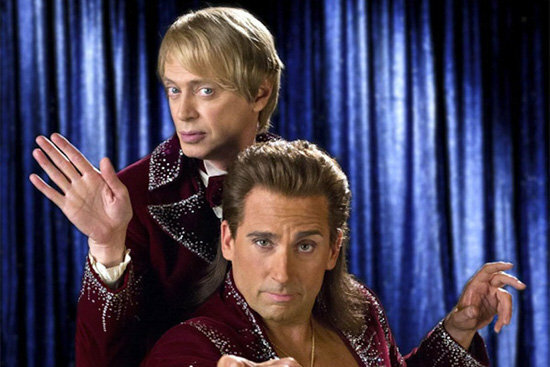 Even though Steve Carell as 'Burt Wonderstone' wasn't as hilarious and great as it could have been, it was still an entertaining and funny comedy that manages to give off some of the best moments I've seen all year. The idea behind the movie seems like it's "WTF", but the trailer was kinda interesting. So I watched, and I'm glad I did. I think a big part of it was that the crowd was very receptive, so it was much more enjoyable. Everyone kept laughing. It wasn't really a very special movie, but it was entertaining. The story is about 30 years of friendship between Burt Wonderstone and Anton Marvelton who have practiced the art of magic so much so that they have a headlining show at Bailly's in Las Vegas. Unfortunately, the name of their act "Burt and Anton: A Magical Friendship" is now an irony as the two magicians have become divas of their own and despise each other. When a new street magician named Steve Gray comes into the spotlight, Burt and Anton start losing ticket sales due to the people saying that they want the next big thing. In order for the magic in their act to become new again, Burt and Anton must find the magic in their friendship and the wonder and awe that made them get into the business in the first place. It was like I wasn't watching Steve Carell. Steve Carell was Burt Wonderstone. The actors in the movie are either really good, or they're just decent. The two actors who fall under the decent category are Steve Carell and James Gandolfini. Jim Carrey was his old Jim Carrey self but it worked out in this movie. In almost every single scene he's in, Carrey finds a ridiculous and hilarious way to make the audience explode in contagious laughter. If they made a spin-off movie with just Jim Carrey's character, I bet it would be a lot funnier than this film overall. The acting is fine for the most part, but it's Jim Carrey and Alan Arkin who steal the show. Don't get me wrong, they were good in the movie. And another pleasant surprise: Olivia Wilde. A really good entertainer. I agree that Jim Carrey's magic acts where a bit too violent for a family movie, overall the movie succeeded in entertaining the entire group. The attempt at humour at times seems over-the-top but in a movie about entertainers, this is acceptable.